Howard and Dawn Varnedoe have been homeschooling for the past 15 years. Through this experience, they have grown in their understanding of the importance of not just learning but enjoying the process. Transferring the desire to be lifetime learners was one of their primary emphasis as they have educated their children. They are excited to be a part of Ivybrook because they love helping children grow in their love of learning and discovery! We believe children are individuals whose strengths and gifts should be valued and nurtured. Children should be active participants in their learning and their natural curiosity cultivated. This is best achieved through a hands-on, discovery-based approach to learning. We believe that this approach provides children with the flexibility to research, inquire about, and reflect on the world around them. Mission – Ivybrook Academy provides a progressive approach to early childhood education, which values students’ individual voices within our vibrant community and cultivates compassionate citizens who find joy in learning. Philosophy – Children’s unique voices must be heard and ideas honored as they actively participate in their learning. This is best achieved through a multi-sensory, discovery-based approach to early childhood education. We believe children’s interests should be respected as they learn to ask questions, find answers, and share their discoveries with others. We believe that this approach provides children with the flexibility to research, inquire about, and reflect on the world around them. Our learning community believes in a strong partnership between families and committed educators. An ideal early learning environment consists of opportunities for children to explore, create, solve problems, and work collaboratively with others. This deepens their understandings of the world through meaningful social interaction and frequent reflection with their peers and adults. We believe that children are born with a natural curiosity about the world, and that cultivating this curiosity with careful listening and support is the key to successful lifelong learning. Guided by this understanding, we provide a hybrid curriculum that combines progressive approaches to early childhood education which draws from the customized learning approach of Montessori, the experiences in Reggio Emilia, and Multiple Intelligence research. These philosophies are blended into our comprehensive half-day preschool providing a solid foundation for our children’s early learning years. Ivybrook Academy has emerged as a leader with an award-winning preschool curriculum! – Nationally recognized for our multifaceted approach to preschool curriculum, Ivybrook Academy has emerged as a leader in the field of early childhood education. We offer a balanced curriculum which includes Collaborative Learning, Montessori tailored Individualized Learning Groups, Reggio Emilia inspired project work, and our Discovery Program. These interrelated components provide children with the tools necessary to expand their knowledge and understanding of the world in which they live. 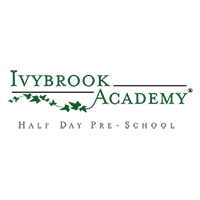 Ivybrook Academy provides an emergent curriculum where both short and long term, in-depth investigations and explorations emerge from careful observations of the children. Topics of study and experiences are designed to reflect and support the children’s interests and needs. Educators create intentional environments that allow children to express their interests and construct knowledge. Emphasis is placed on a continuous cycle of learning and reflecting and documented by our teaching staff. 323 people have viewed this listing. 4 people have visited Ivybrook Academy’s Website from this listing.